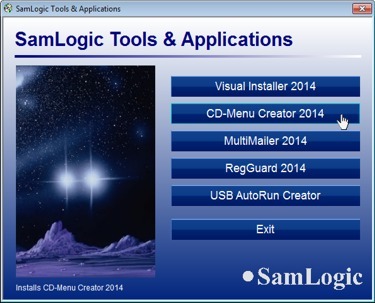 SamLogic CD Menu Creator is a tool that creates impressive autorun menu interfaces for CD, DVD and USB flash drives. From these menus you can execute installation programs, launch applications, view documents, play videos, look at graphics, play Flash animations etc. A menu can contain buttons, pictures, movies, sound etc.